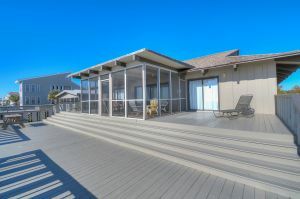 Located in the Ocean Drive section of North Myrtle Beach, South Carolina this vacation rental property is designed to comfortably accommodate 16 people. 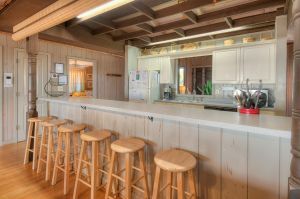 With five bedrooms, four and a half baths, a noteworthy wet bar, wine cooler and grill area, this beach house is favored by all who are lucky enough to meet her. 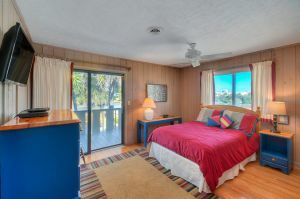 Other amenities include numerous televisions, a DVD player and high-speed Internet access. 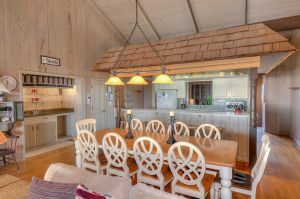 Eating in is sure to be a delight; a big galley kitchen and an outdoor grill help to make it so. The convenience of an outdoor shower and a washer and dryer is underestimated until you reap the benefits. 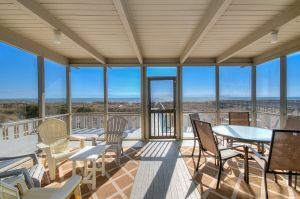 An ocean-facing covered porch sports comfortable furniture, and an ocean view deck is perfect for sun-worshippers. Ever-changing ocean views from the porch, the deck and several indoor spaces inspire a sense of peace and quiet respite. 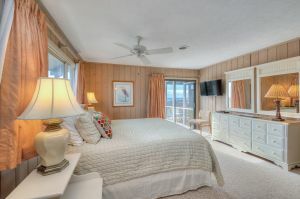 Rest and relaxation come easily here at this vacation rental beach house in North Myrtle Beach, South Carolina. The larger Myrtle Beach, South Carolina area has a diversity of attractions to satisfy every taste, from tiny tots to grandparents. There is everything from surfing, boating and fishing to state parks, amusement parks and arcades. Restaurants run the gamut. Golf courses are celebrated nationwide. Shopping would satisfy even the most selective, including discriminating bargain seekers. There's more to share than space. Investigate, and book it.